We have visited coffee plantations and estates while in Kona (Big Island of Hawaii), Kualapuu (Molokai), Kalaheo (Kauai) and Waialua (Oahu, Islander’s home island). We even got to sample some of the peaberries (bitter yet aromatic) grown on the property of some of the Hawaiian coffee companies. We buy their products and take them back to the mainland so Highlander can enjoy a cuppa joe (or, in Hawaiian, kope), and Islander can bake coffee-flavored desserts, such as coffee and nut cookies. 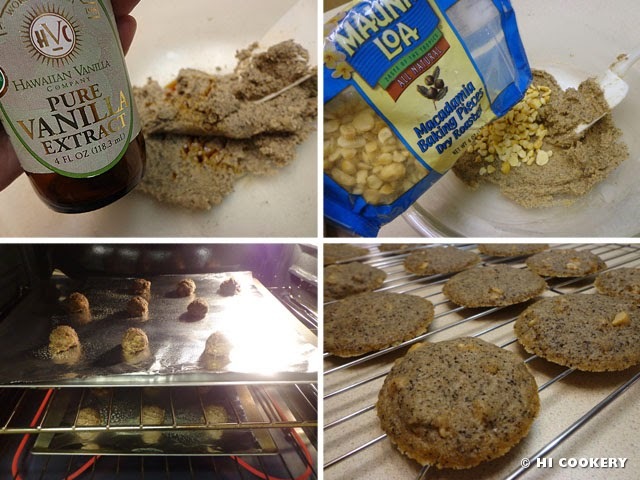 Inspired by Kauai Kookie’s Kona coffee macadamia nut shortbread cookies, Islander used Hawaiian ingredients in a simple coffee cookie recipe to give it a tropical twist. Coffee lovers will definitely appreciate these flavorful treats. 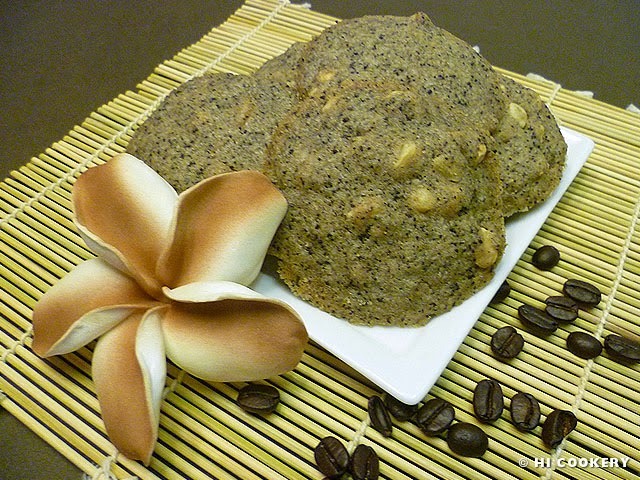 So celebrate National Coffee Day and bake a batch of coffee and nut cookies with a little aloha! 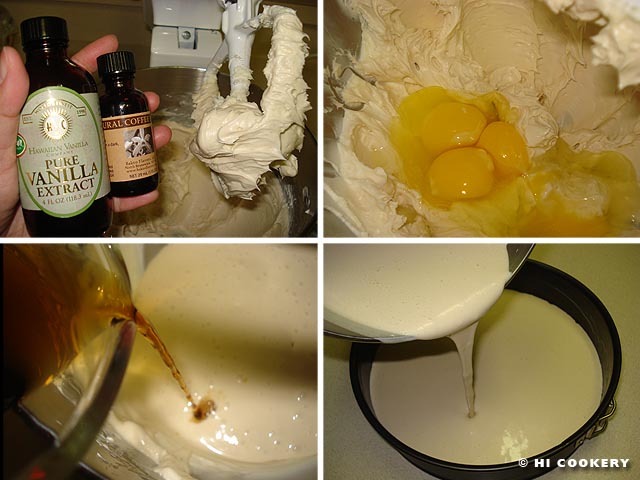 In a large bowl, cream the shortening with the sugar. Mix in the ground coffee. Beat in the egg. Add the flour. Mix in the vanilla and nuts. 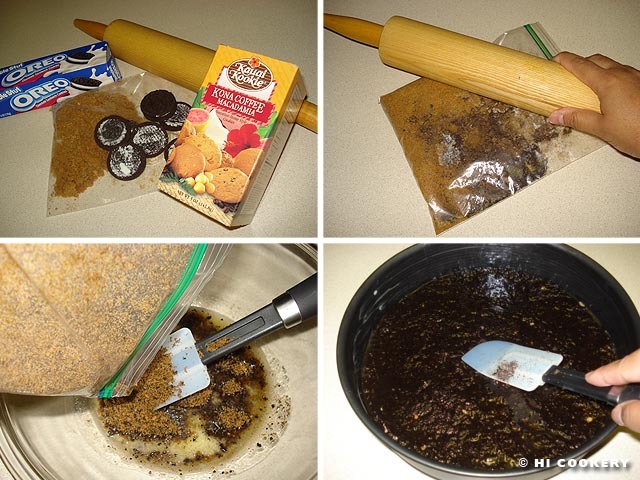 Blend well until cookie dough forms. Use a small scoop to drop the dough at least two inches apart onto greased cookie sheets. 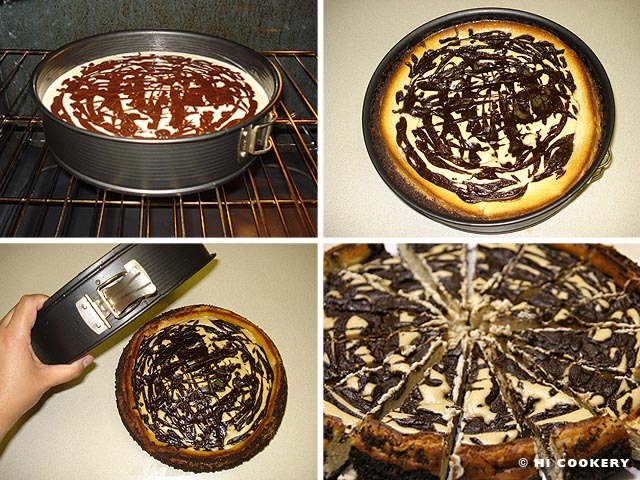 Bake in a preheated oven at 350 degrees F for 10-12 minutes. Remove from the oven and cool to a crisp on wire racks. Yield: Approximately 1 ½ dozen coffee cookies. These cookies spread while baking and are soft when they come out of the oven. When cool, the edges become crisp while the center is somewhat chewy. 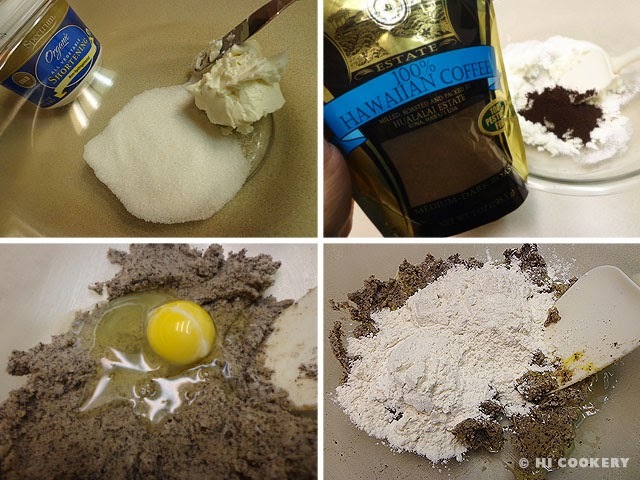 Search our blog for recipes containing coffee as an ingredient. Also peruse for more posts on other cookie recipes. Whenever we visit Hawaii, we stock up on our favorite foodstuffs and edible souvenirs (Kona coffee, Kauai Kookies, macadamia nut chocolates, etc.). When we run out of our rations and don’t anticipate a trip back soon, Islander’s parents and friends send culinary care packages on our birthdays and Christmas! While e-commerce and online shopping have made it more convenient to make purchases from paradise, it is incomparable when loved ones want to give them as gifts. We appreciate the time and money they spend on us by sending specialty ingredients to support our blog! 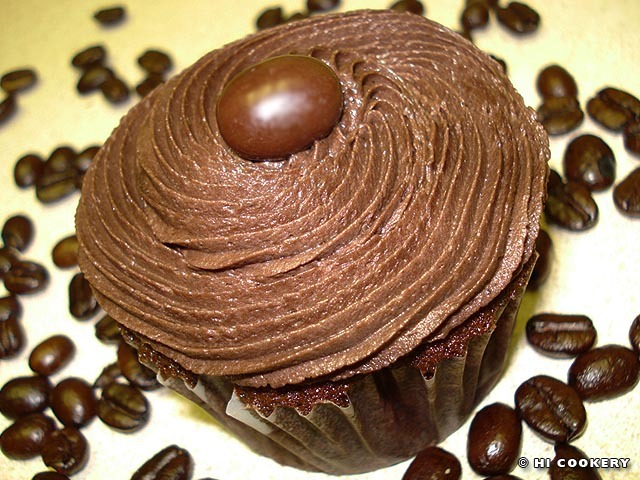 For National Coffee Day, we baked Kona coffee cupcakes with a combination of ingredients we bought ourselves or received as gifts. Thanks to those who contributed to this cupcake’s components, this decadent dessert makes today’s food holiday extra delightful! Dissolve the cocoa powder in the hot Kona coffee. Mix in the cold water until smooth. Set aside. Sift the cake flour with the salt, baking powder and baking soda. In a large mixing bowl, cream the butter with sugar. Beat in the eggs and vanilla. 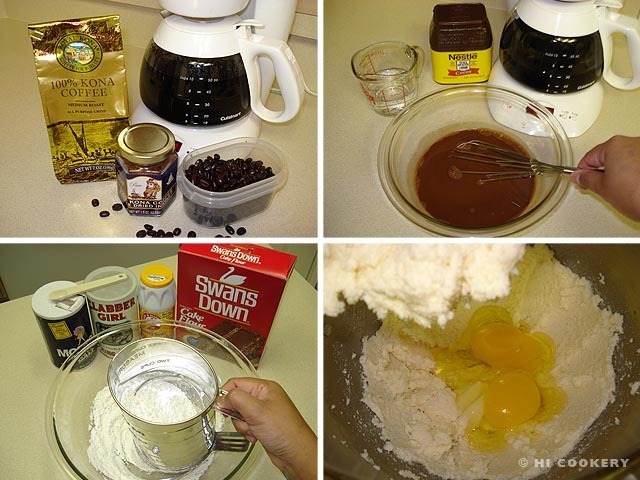 Gradually add the coffee and flour mixtures, alternating until the batter is brown and smooth. 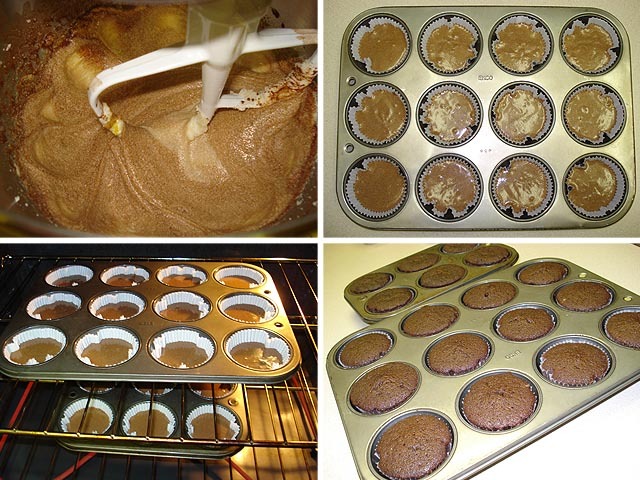 Scoop into muffin tins lined with cupcake paper. Bake in a preheated oven at 350 degrees F for 20-25 minutes, testing for doneness with a toothpick. Remove from the oven and let the cupcakes cool completely before frosting them. Dissolve the Kona coffee crystals in milk. Sift the cocoa powder with the sugar. 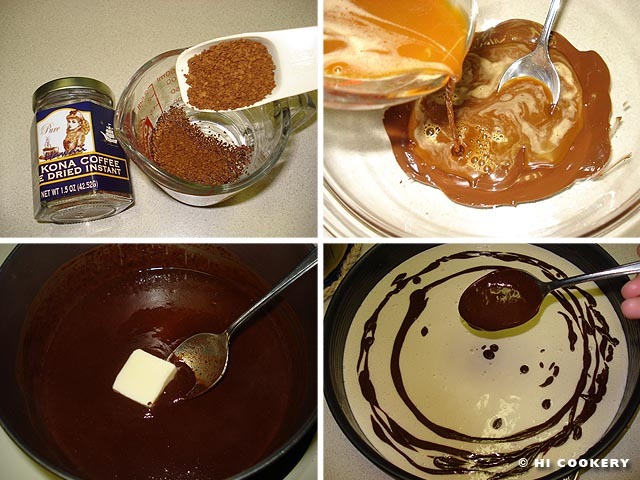 In a mixing bowl, cream the butter with the cocoa-sugar mixture. Add the vanilla and stir until the frosting has a spreadable consistency. 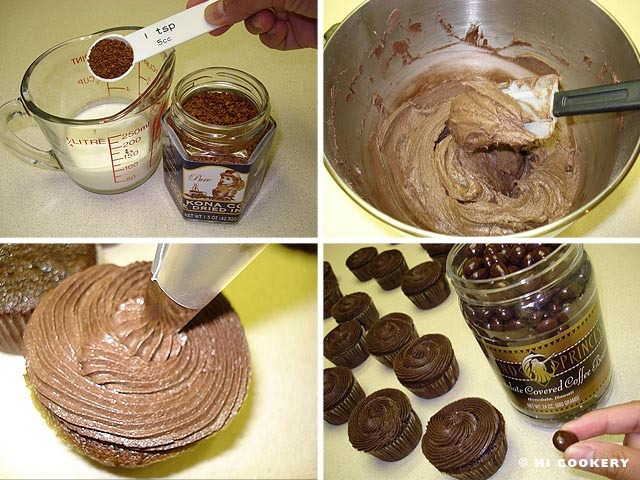 Fill a pastry bag and use a star tip to make decorative swirls on the cupcakes. Top with a chocolate-covered Kona coffee bean. Thanks to Islander’s Mommy for the chocolate-covered Kona coffee beans. Thanks also to Lisa L. for the Big Island vanilla. 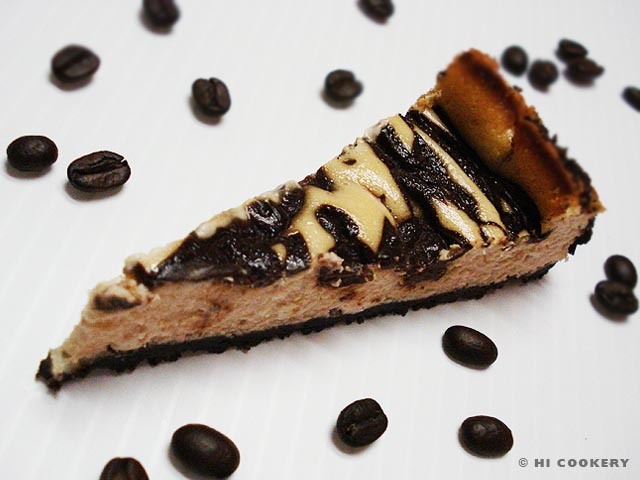 If you like Kona coffee cupcakes, try our Kona coffee cheesecake recipe, which we blogged about on National Cheesecake Day on July 30.